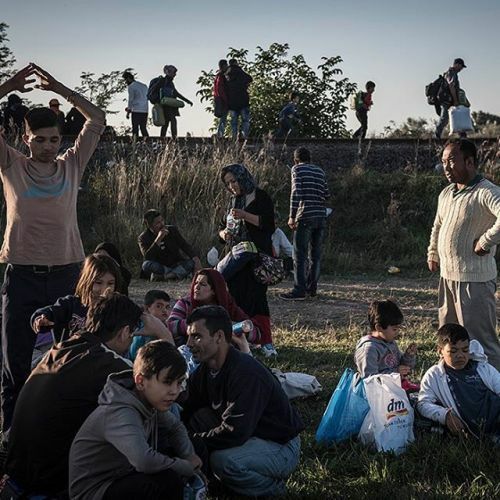 “Members of a family from Kabul, Afghanistan took a break in Hungary after crossing the border with Serbia. Tens of thousands of migrants and refugees, mostly fleeing unrest in the Middle East and Afghanistan, are pushing their way through the Balkans to Hungary. From there, many are continuing their desperate trip to Germany and other countries in northern Europe. A team of New York Times journalists — including @sergeyponomarev, who took this photo — is documenting their journey. Follow @sergeyponomarev to see more. #regram” By nytimes on Instagram.